As the holidays kick into full swing, many of us find ourselves checking flight times, packing suitcases, and making calls to nearby neighbors to feed our furry friends as we fly into new cities to visit family. However, when planning to leave town for the holidays, there are a few crucial steps that every resident should take to ensure their apartment is safe and sound while out of town. Some of the most devastating damage that can occur may be from equipment that’s already sitting in your home. From small appliances to electronic devices, there are a host of items that you don’t want working while you’re not at home. Nationwide recommends unplugging these devices. After all, there’s no need to have a toaster plugged in if you won’t be in your home to use it! Similarly, make sure you don’t leave anything on that could cause a fire in your absence, such as curling irons, blow dryers, and electric razors or shavers. Another way to ensure that you’re giving your energy bill a break while you’re gone is to find a temperature that might be a little more energy efficient, but still comfortable enough for any plants or pets that may have stayed behind. Additionally, don’t forget to turn off the ice maker on your refrigerator, and take out the trash in the kitchen. Tell your community when you’re planning on being out of town. This is a great way to ensure that people know not to expect a lot of activity coming from the home, and will help put them on high alert if anyone stops by uninvited. Talk to your community manager and be sure that they know that you’re planning on leaving town, and leave your contact info with a nearby neighbor who may be staying for the holiday. This way, they can call you if anything unexpected might come up. Your credit card company may also want to know when you’re leaving town so they know not to flag big ticket purchases as triggers of potential fraud. Ensuring that your apartment still looks lived ­in while you’re away can be the best possible way to thwart any potential burglars who may be scouting the neighborhood during the holidays. Don’t make your house look empty. Instead, stop the newspaper or mail, or ask a nearby neighbor to pick it up for you. This ensures that no one becomes suspicious of an empty home. In addition to stopping these regular services, try using a timer for at least one light in the home to give the illusion that someone may be home. You can leave your curtains or blinds open ever so slightly so light can be seen from the outside. Then, use a smartphone app to turn lights off and on while you’re away. 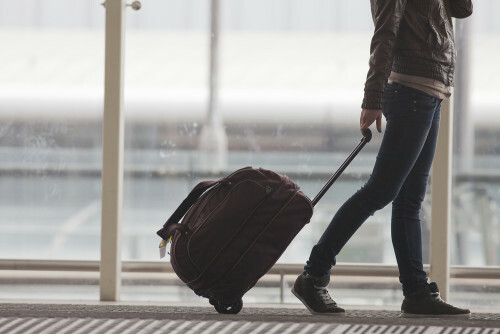 For more information on how to prepare for a trip out of town, contact us today!